The YFS runs a series of educational fishing derbies teaching aquatic conservation and of course, fishing. These derbies are designed to teach people conservation/ fishing, draw them closer to their natural world, and fishing tackle management. The YFS goes to neighborhood waterways to run these small derbies for accessibility, and kids, both inexperienced and experienced, come to learn and compete for a small prize, usually a few lures or a small cash prize. Children without rods are provided with rods, lures, and instruction free of charge; in fact, the entire derby is free of charge for accessibility. On ponds and lakes, largemouth bass are usually targeted, but in creeks, smallmouth bass are fished for. ​Left: First fish! 0.12 pounds. Right: A creek fishing derby catches a surprising amount of fallfish. The derbies not only create new anglers, and teach and nurture conservation, but bring people, youth fishermen and conservationists, together. Friends are made, and people are united. Through our Gear Drive, gear is provided for fishing. The derbies reach out and introduce people who have never fished or considered picking up water bottles on the street a day before in their lives, to fishing and conservation. These derbies, held mostly during the summer, are an integral part of the YFS commit to helping improve our fisheries, nurture conservationism, and promote fishing. Above: Fishing derby at a neighborhood pond in Clarksville. These derbies typically last around an hour and thirty mixtures, plenty of time for some good, wholesome fun. YFS officers offer help to all those in need of it, and teach beginners useful tips, such as knot tying and lure selection. Conservation issues are also taught about local waterways during the derby. 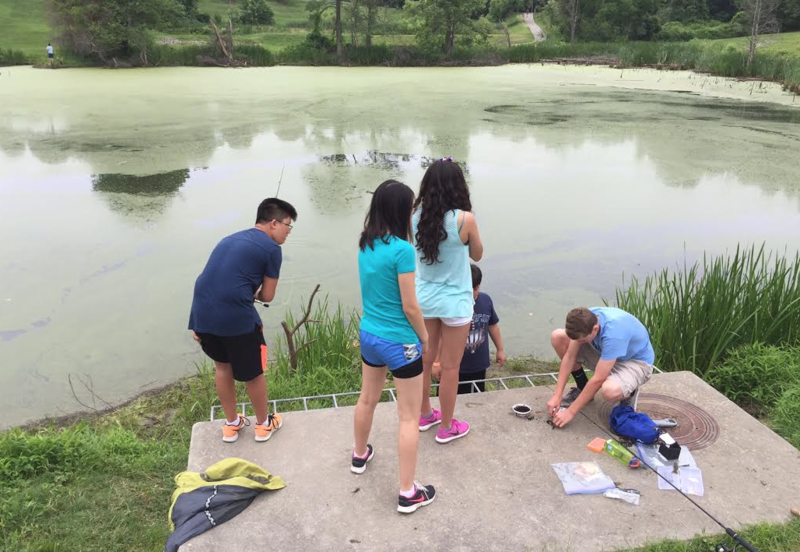 Students are taught, for example, to not throw used fishing line into the water, noting that fish and other wildlife may get tangled. Another example is a YFS mentor teacher pointing to invasive kudzu vines and telling children to plant native plants.